Vector set of round adhesive stickers with a folded edges. 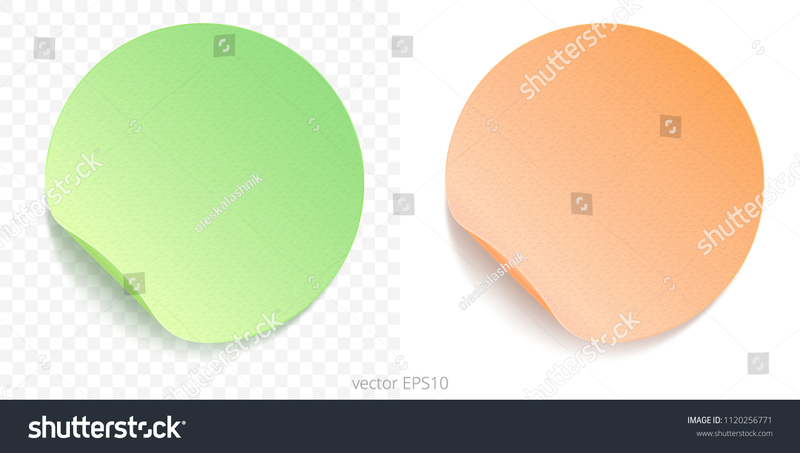 Paper circles of lime green and peachy orange gradients. Blank templates. Empty mockup of tags with realistic textures. Transparent shadows.